There are compiled published lists of Hathorn's Fourth Orange County Regiment of Militia, drawn from various sources. 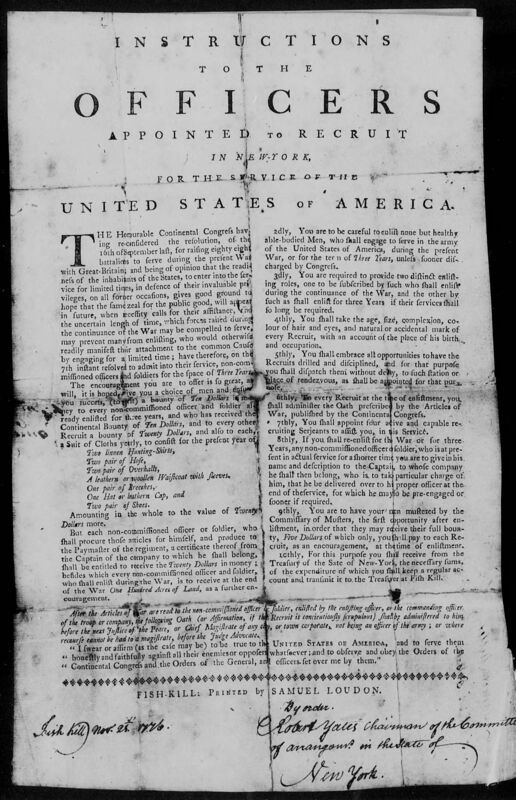 One source is "New York in the Revolution as Colony and State". The lists reflected the fact that the militia was a fluid unit--- even from the beginning, it was drawn from lower Orange County as well as some areas of northern New Jersey. As levied companies were shifted and attached to other units, it becomes nearly impossible to track them all. Our project has been, wherever possible, to try to determine which men were from the area of Goshen Precinct which later became the Town of Warwick. James Miller's pension file also includes an extremely rare broadside published by Fishkill's famous patriot printer, Samuel Loudon. It details instructions for the enlistee. Transcriptions from microfimed pay records and other affidavits. Battle of White Plains. Captured and held at Sugar House prison, 1779. He was a 'fife major'. Four brothers, James, John, Reuben, Steven all served under Hathorn. 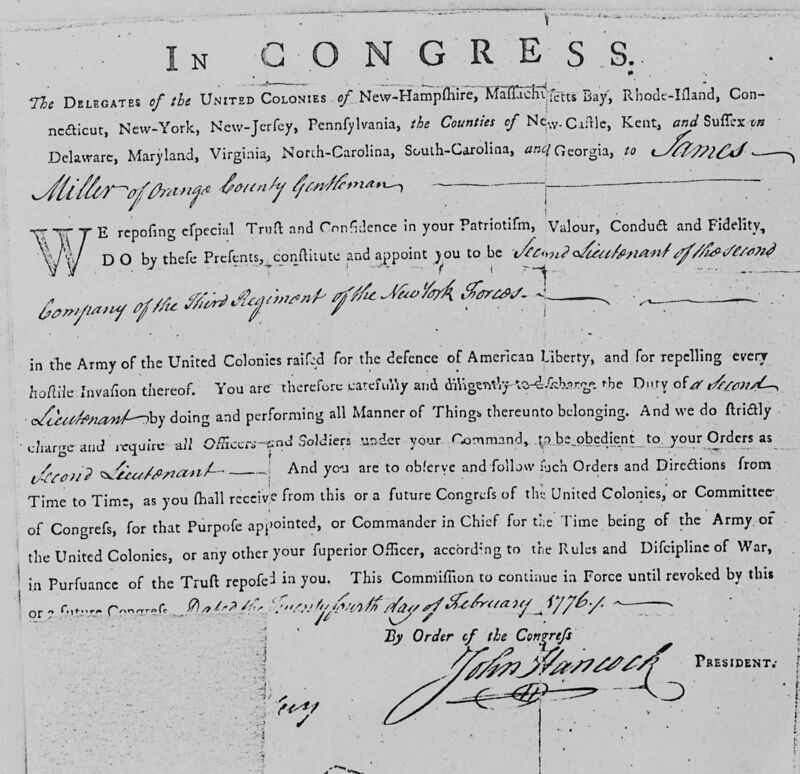 Pension file included in "Sidelights on the Revolutionary War Period" by W. J. Coulter, at the AWPL local history room. Served in Capt. Minthorn's co.
Bertholf, Samuel (1745-1813), married Elsie Alyea. He signed the Revolutionary Pledge in Goshen NY and served as a Private under Col. Hathorn. Their daughter Martha married John Ackerman of Ackerman Road in Warwick where in 2015 family member still lives. John’s father Andrew, after whom Ackerman Road is named, also served in the war but in NJ before he migrated to Warwick. Stevens, Elisha and brothers Jonathan, David, and Joseph all served with Hathorn. Stevens homestead shown on Erskine 1779 map, east of Wickham Lake. This list gives burial location for men who were of Hathorn's militia and other units, including War of 1812. Many thanks to the Warwick American Legion Post 214 for their faithful marking with a flag of the graves, and the diligent lists they have developed and kept over the years.